My supplier has told me new 18650 cells can hold not only their voltage but dont have any significant capacity loss the first 16 months after production. This sounds insane when ebike seller claim you must charge your battery at least once a month. How can this be? To answer the last question, energy cannot be destroyed (The Laws of Thermodynamics), only transferred. All modern lithium batterypacks have BMS. They draw current. They check the voltage of cells constantly even when you are not using or charging the battery pack. Some BMS can go into sleep mode and can only be activated with a quick charge (rare). But most BMS are working 24/7 drawing a small, small current which is the reason you need to charge your packs. Since energy cannot be destroyed it is not that odd that capacity loss in new cells are low. Capacity is NOT the same as voltage but capacity loss in lithium-ion cells are not something that affect dormant cells. Cells kept att full voltage might in some chemistries and some cases loose capacity but facts for that are not in yet. So dormant new 18650 cells does NOT lose capacity? Probably not unless stored perfect. If stored temperatur controlled without sunlight, radiation, wind, heat, air, dust etc they would probably loose close to no capacity at all. But nothing last forever and lithium-ion cells are supposed to have shelf life (still no prof of that or how long that shelf life is) but lead acid batteries and nimh cells have been known to last over 15 years if used seldom but not left for dead. There is nothing that says lithium ions cells cant last that long. Capacity might be less then 10% but they will still be able to hold a charge. Well i’ve taken apart several batterypacks from 2007-2009 with sony and panasonic cells and they had et least 50% capacity and some even close to 90%. This contradicts what everyone says about lithium cells. But its proof that lithium batteries can have a long lifespan. Let me also state the packs with sony cells did NOT even have BMS and no balancing circuit and the panasonic cells where charged to 42.5V so no special behavior here either! Well more proof you ask? *Lii-500 only test from 4.2-2,8V and my are worn and capacity is therefor ca 20-80mah they if tested on new ful range testers. 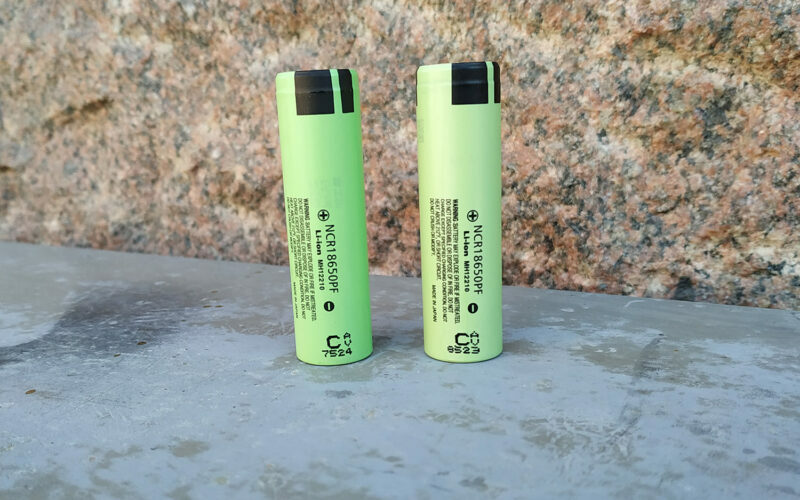 That is a 23,9mah difference. That’s less then 1/100 of a normal 18650 cells. If you ride your ebike 40 km, you would lack ca 350 meter with the older cells. To be exact its 0,81%. This is good news. Very good news. It might not be the same for all brands och chemistries but they will most likely suffer the same lack of decay if stored properly.